Richard and I, co-participants in Claire and Steph's Bolaño readalong, realized a week ago that we were going to be totally beside ourselves once it finishes at the end of this month. It's been completely amazing to read this novel with so many other fantastic bloggers, and we don't want it to end. Our solution? Continue right on reading together, this time with a different book! So, here's the scoop. 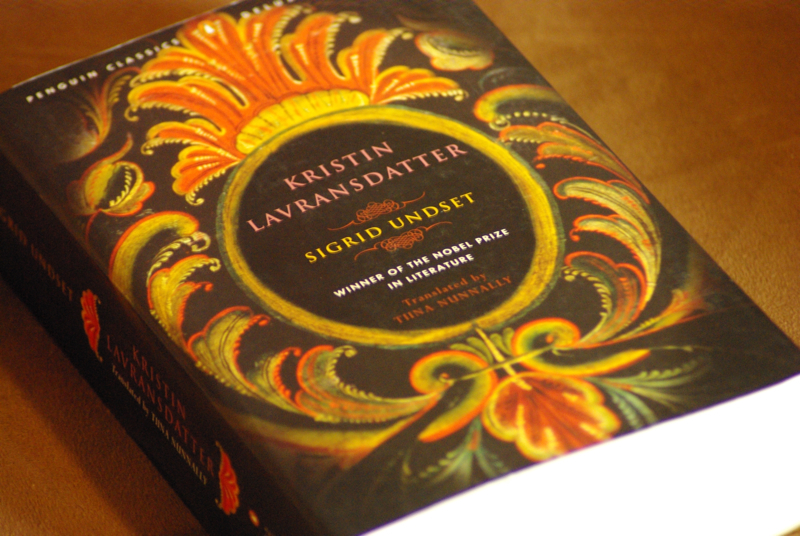 Starting in October and continuing through December, we'll be tackling the three volumes of Sigrid Undset's classic Kristin Lavransdatter trilogy, one volume per month. Aside from its similar bulk, Kristin is going to be a very different ride from 2666: set in medieval Norway, its three volumes track young Kristin from early childhood through marriage and into old age. In the process, Undset portrays a Scandinavia in the process of transition from old belief systems to Christianity, and populates it (so I hear) with a host of interesting, complex characters. The books are often called "modernist" (they were originally published in 1920-1922) which fascinates me because I've never read modernist or experimental fiction set so far in the past. Undset won the Nobel Prize for Literature in 1928, and Kristin is her best-known work, so I'm looking forward to giving it a try. We'll be reading the Tina Nunnally translation, which won the PEN/Book-of-the-Month-Club Translation Prize in 2001 and apparently restored a number of the more experimental passages, which had been excised from the original English translation. It's available from Penguin in both omnibus and three individual editions. Just looking at that list makes me so excited to get started. Anyone who feels the same way is welcome to join in; just leave a comment here or on Richard's blog to let us know, and we'll corral everyone's entries for easy reference when they start appearing. I popped over here from Rebecca Reads...you have a lovely blog! Claire: Yay! I'm as psyched as you. I'm so glad that you'll be reading along. Softdrink: Hey, thanks! And thanks for stopping by. Sarah: Awesome! It is beautiful, isn't it? To be honest, I think that's a lot of what inspired me to buy it in the first place! Wow, I can't beleive the timing of this. I recently picked up the first book (same translator) at our local used book store. This read-along will propel it to the top of my TBR pile, although I can't promise I'll be able to keep up :-)! You can still count me in, however. Oh, I have the same three-in-one volume and it has been tempting me. I'll see if I can juggle my TBR stack to fit this one in, but there are a lot of books ahead of it. Do we know how to get our geek on or what? I have to laugh at how excited we all are. A doorstop set in medieval Norway sets us to drooling. A reminder of the beauty of the blogosphere this BBAW. You are all such good reading friends! "The books are often called 'modernist' (they were originally published in 1920-1922) which fascinates me because I've never read modernist or experimental fiction set so far in the past." Huh. Neither have I and I LOVE the Modernist movement, be it art, literature, or society. This should be interesting. Rose City Reader: Haha, yes, I'd think it would be a one-timer all right! I'm kind of shocked at how many people already have this Undset tome on their TBR shelves. If you get around to it, I'll be excited to hear your thoughts! Frances: No kidding! I admit myself surprised at the enthusiasm for a 1100-page experimental tome set in medieval Scandinavia, but also delighted! With so many great readers, I'm so psyched for the conversations. Honestly, I thought I'd hate it much more than I do! It's been really... interesting, so far. Weird. IT was encouraging to see a review of someone who finished it who wasn't Joseph Campbell, Ms Rose :D. I think I'll read with you guys, if I can find the book for cheap enough :). I need SOMETHING else, to keep me sane, and make me keep knowing I know English. Emily, I think we should take on Frances' "do we know how to get our geek on or what?" as the official motto for the readalong! And I have to say that your comments about Kristin touching on the transition from old belief systems to Christianity is one of the angles that mosts interests me in this work--much as it did in Beowulf. Which brings me back to that whole geek thing again! That's a lovely photo you posted, by the way. I have fallen behind in reading 2666, which embarrasses me to no end, but I'm really interested in this new read-along endeavor. I'm going to spend some time researching the book and its translation to see if it might be a good fit for me, and then I'll let y'all know. But even if I don't join along this time, I'll look forward to reading all of your posts! Jason: Yay! I hope you can find a cheapo edition; I'd be excited to add your perspective to the mix! Richard: Haha, maybe I should make a button after all: a "Do we know how to get our geek on or what?" button. :-) Thanks for the nice words about the photo! I'd love to join the party, if I may? I would like to join the readalong. I haven't been successful with Unset in the past, but a readalong and a new translation could change all that. Don: Welcome to the party! From what I've heard, the new translation is leagues better than the old, so hopefully you'll enjoy Undset this time around. Tuesday: That's so great! I've added you the list. Yay! There's no way I could read this so soon after Infinite Jest, but even as I know that, I'm still jealous! I look forward to your posts. Count me in! I already told Richard...but I wanted to let you know that everything he says about your blog is true, and now I have a crush too. Can't wait to get started reading this with you folks. Cynthia: I know what you mean; Infinite Jest sounds like quite a journey! Bethany: Aww, I'm blushing over here. :-) Psyched to have you on board, lady! You can tell me if I need to change something. Bethany: That looks great! Thanks for setting it up for us. I found my way here from kiss a cloud and would love to participate. 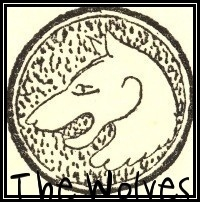 Theduckthief: Excited to have you! Could you please give me the ISBN number for this addition? Saw this on the Orbis Terrarum blog and fancied the challenge. 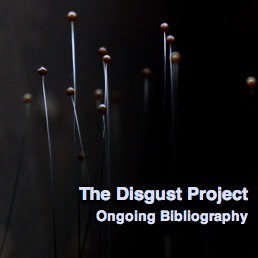 I've ordered the copies from the library (I'm on a book buying ban) so they shall be here in a few days hopefully. I am very excited by the group of people taking part! I have been wanting to read it for a long time, but keep being put off by the length. Thank you for hosting the readalong - I am sure it will be a wonderful book. Katrina: Welcome! We're excited to have you. Jackie: Yay, you're welcome! Both Richard & I are blown away by all the people interested in joining. I'd love to join! I've already read the first 2 books and I'll plan to read Book 3 in December. Sounds like fun! Volume 2 and 3 have arrived from the library but still waiting on volume 1! Just found this and would like to join in--I'll scramble to read v.1. I read it long, long ago, but don't remember most of it, just that I really, really loved it. Katrina: How frustrating! Hope it arrives soon. Amy: Awesome, we're excited to have you! I hope your second reading lives up to your memory of the first. I'll be joining in as well. Somewhat afraid that I won't be able to keep up since there are so many other books I want to read but I'll give it a go! I just finished the first book and liked it. I plan to read the next two as well, but probably not on this schedule as I am already a book behind. Definitely into the new year. This was just the inspiration I needed to pick up this book, thanks for organizing this. The home loans seem to be important for guys, which want to ground their business. In fact, it is very easy to get a auto loan.